Literature circles give students the opportunity to talk about books with their peers. 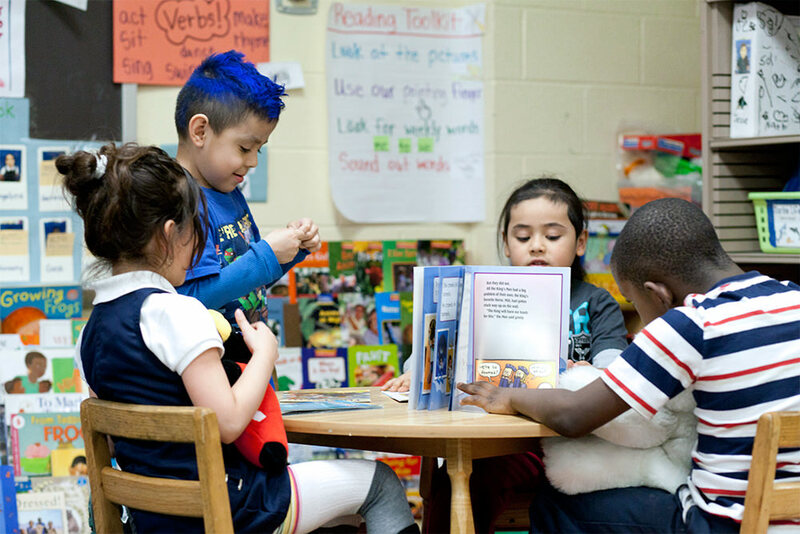 Through these conversations they build community, learn critical speaking and listening behaviors, deepen their understanding of books, and…recognize that reading is fun! Book selection: She was careful in selecting books that wouldn’t be terribly challenging during their first experience. She chose books with an emphasis on interest as well as ability. Explicit instruction on how to talk: She modeled book conversation for them and together they created an anchor chart to support their use of conversational book talk language. Roles and preparation: They agreed-upon parts of the book they would each read and committed to being prepared to discuss those parts when the group met. Routines: The groups had a place to create responsibilities or rituals for their group, to log their meeting dates, write unknown vocabulary words and big questions they had as they read. Supporting materials: She created packets that supported children as they went through the text together. There were also some guiding questions created for them that kept them in the text and would provide discussion points if the students were not able to come to the group with one of their own. Time and Consistency: This doesn’t happen overnight! The teacher shared that during their first round the children needed reminders of the roles and responsibilities. They needed to revisit how to take turns and listen to one another. Yet, they were thoroughly excited every time they met to read! She met with the groups more often during the first book, helping them to start a discussion, and checking in periodically to keep them moving. What can we learn from this teacher’s experience with literature circles? She did so many things right and we can try to replicate her by doing the following. The book. This means it should be interesting but also free of big challenges that prohibit students from asking questions and comprehending the text. The group. It is important for the group to be able to work together. There needs to be a balance of thinkers and talkers. Everyone needs to be accountable and understand their thoughts matter and they are all responsible for keeping the group reading and thinking. The roles. While the class above has been super successful without roles, we recommend assigning roles similar to the ones below, as well as a schedule for reading and meeting. Creative Connector- Discusses connections to other texts and topics students have read. 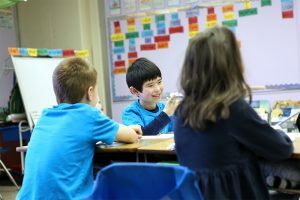 Model what you want the children to do: how to read a text aloud and use sticky notes to write questions or vocabulary, how to use the materials they are given, how to take turns, ask questions, talk, and think. The more you model, the more successful students will be when they work together. Have a place to meet. Although we encourage students to use our classroom libraries, a table seems to make the meeting more official and helps to keep materials organized. Post a schedule where students will list their meeting dates. This provides a visual for the teacher and students. Have a place to organize materials: Folders are great! Books and materials can stay together. Sticky notes are helpful too. Our goals for literature circles or book clubs should always be to promote a love of reading, and create additional opportunities to read and discuss great books. Literature circles can provide these meaningful learning experiences if we provide the time, access, and support to allow them to grow together as readers and thinkers! With planning, commitment, and support, the goals of literature circles are realized!